A properly planted tree can help a homeowner save up to 20 percent on energy use. And Holland Board of Public Works residential electric customers can reserve a free tree this spring to strategically plant in their yards to save energy and lower utility bills. From the Arbor Day Foundation, the Energy-Saving Trees program began in 2012, and operates in 37 U.S. states. More than 70 organizations have participated, including utility companies, city governments, state governments, corporations, and nonprofits. This is the first time the program has been offered in Michigan. The Holland BPW and the City of Holland are partnering to provide 300 trees in four species. 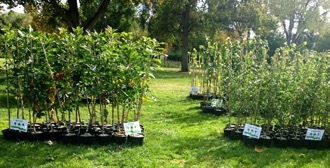 Customers may choose from among red maple, river birch, royal star magnolia, or prairie fire crabapple. These species thrive in our climate and soil conditions, and will help the urban canopy move from 25 percent to the city’s goal of 36 percent. In addition, trees absorb carbon dioxide, and will help drive Holland’s Community Energy Plan goal of cutting per capita greenhouse gas emissions in half by 2050. Developed by the Arbor Day Foundation, the Energy-Saving Trees program educates homeowners about the benefits of strategic tree planting for energy savings using an online mapping tool. benefits of the selected tree, including cost savings associated with reduced energy bills, cleaner air, reduced carbon dioxide emissions, and improved storm water management. 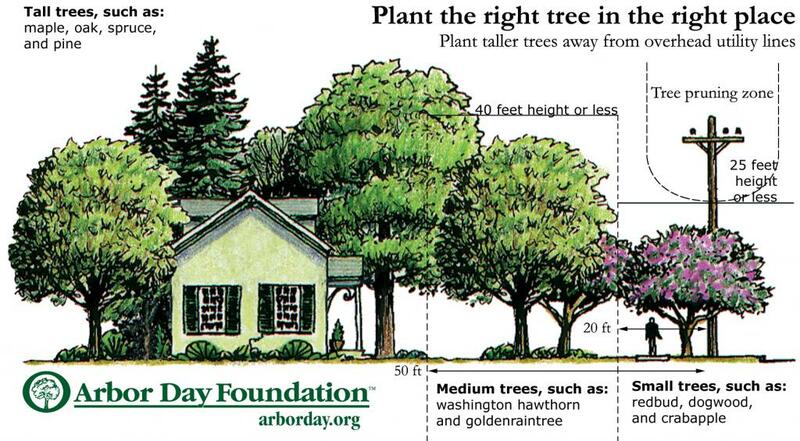 When planted properly, a single tree can save a homeowner up to 20 percent on energy costs. While using the tool, customers will see their property and utility lines and will be able to select a species, position it, and learn if it is in an optimal spot. If the tree is positioned in a safe place and submitted, a confirmation email will be sent to the customer once HBPW staff confirm its placement. Customers will need to call MissDig within the week before receiving their tree, as it is very important to know where to dig to avoid utility conflicts. Customers will be provided with tree care, maintenance, and placement resources upon registering, and at the time of pick up. Registration is open from Feb. 11 to mid-April, or until supplies last, at www.arborday.org/HBPW. For people who have a confirmed order from their online registration, the trees will be distributed at a pickup event on Saturday morning, April 27, at the BPW Service Center, 625 Hastings Ave, Holland, from 8 a.m. to noon. At the pickup, participants should be sure to either print their order confirmation or have it readily available on a phone. We hope to see you there!  Morgan Kelley is conservation programs specialist at Holland Board of Public Works and leads the residential energy waste reduction programs. Environmental Awareness/Action: Environmental education and integrating environmental practices into our planning will change negative outcomes of the past and improve our future. 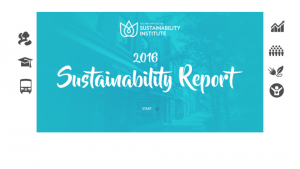 Living Sustainably is a collection of community voices sharing updates about local sustainability initiatives. It is presented by the Holland-Hope College Sustainability Institute, a joint project of Hope College, the City of Holland and Holland Board of Public Works. Go to www.hope.edu/sustainability-institute for more information. Welcome to the new Living Sustainably series! This weekly column is sponsored by the Holland-Hope College Sustainability Institute as a way to keep our community informed and engaged in all of the great work in sustainability that is happening around the greater Holland area. You may be asking yourself, what really is “sustainability?” The term sustainability has been defined in many ways, but the most commonly referenced definition comes from the Brundtland Commission’s Report Our Common Future which states “sustainable development is development that meets the needs of the present without compromising the ability of future generations to meet their own needs.” This weekly column is aimed at showing how issues of sustainability are actually at play in so many areas of our lives. Our City of Holland Sustainability Committee has created this seven-pillar Sustainability Framework with “lenses” to help us evaluate and make more sustainable choices. We are using this framework as a way to share information about our journey to become a more sustainable community. Each week’s column will look at an issue through one of these lenses. The city’s vision statement says Holland is “a vibrant, world-class community in a beautiful lakefront environment where people work together, celebrate community, and realize dreams.” We believe for that to be true, we must look at all aspects of our community – including the economic, social, and environmental impacts we all have. In doing that, we are working hard to ensure that Holland is a great place to live, work, and play for generations to come. The Sustainability Institute is entering our third year of partnership between Hope College, the City of Holland, and Holland Board of Public Works. The purpose of the Institute is to support efforts to encourage, engage, educate, and drive sustainable culture in water and air quality, energy efficiency, land use, and environmental innovation. 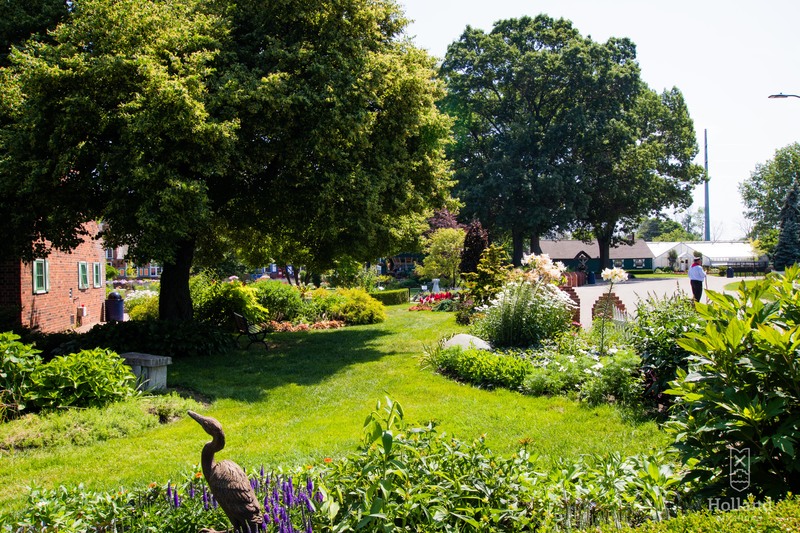 Our vision is a healthy and economically vibrant community that promotes environmental stewardship and mutual respect for people and the planet. Our mission is to foster collaborative efforts to infuse sustainability into the minds and practices of the greater Holland community. We hope you will enjoy this new series and that it encourages you to join us on this journey to become a more sustainable community.